Surprise your sweetie this Valentine’s Day with a rich, chocolatey pound cake that’s shaped like a heart. Topped with a confectioners’ sugar glaze, piped stars, ripe red raspberries, cut-out heart sprinkles and gorgeous fresh flowers, this dessert is sure to make them fall in love with you even more. 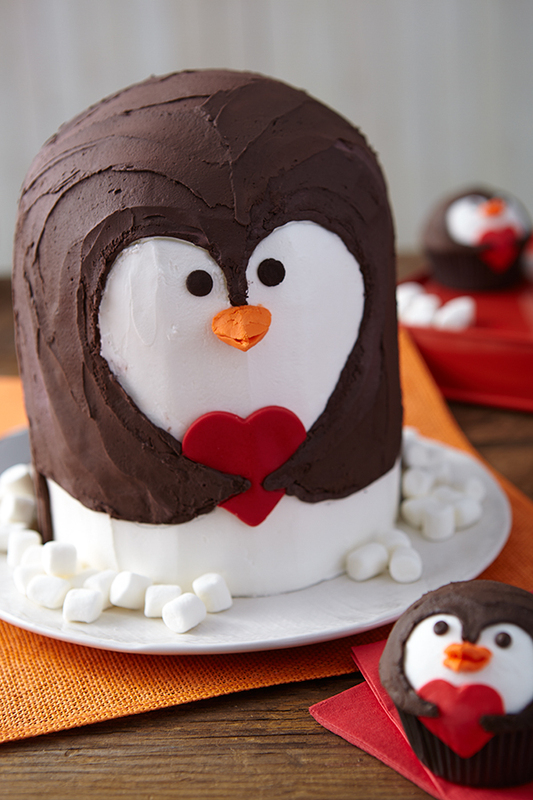 This cute penguin cake has lots of heart and will delight every kid on your Valentine’s Day list. Super simple to decorate using vanilla, chocolate and a bit of orange frosting, along with red fondant cut out in the shape of a heart for the center. An adorable treat that’s fun to eat! Start their morning off with a Valentine’s Day breakfast they won’t soon forget. Using our heart-shaped cake pan, this baked French Toast recipe is simple and easy to make. Topped with streusel and a confectioners’ sugar glaze, it’s the perfect way to say “I love you” and send them on their way for the day. What do you get when you combine red velvet, chocolate and cheesecake together? The ultimate Valentine’s Day dessert. 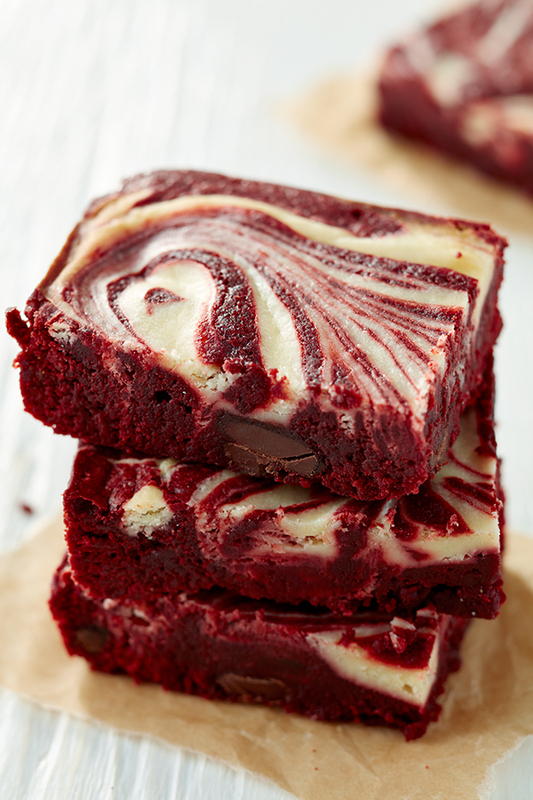 Brownie batter is tinted red, topped with a cheesecake mixture, then swirled with more brownie batter and baked. Your Valentine will have a hard time deciding which they love more – you or these decadent bars of deliciousness. 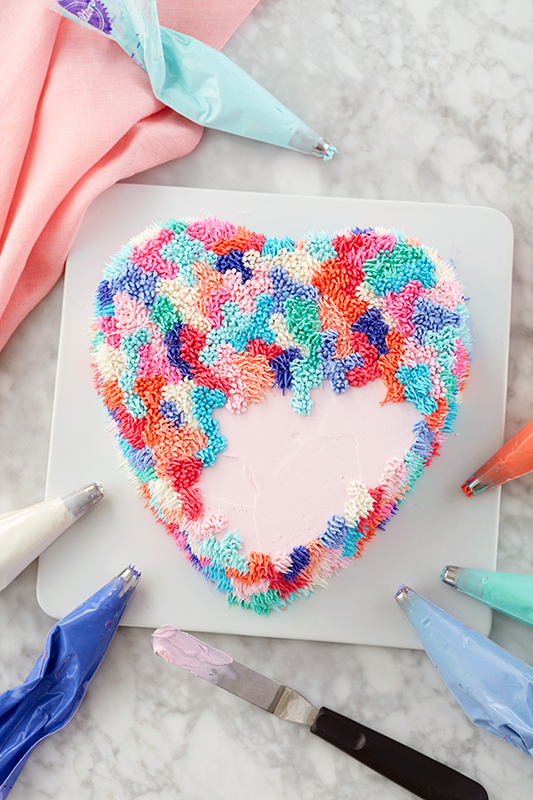 Not your traditional Valentine’s Day dessert, this heart-shaped cake is full of fun and texture. It’s easy to achieve this look with tip 233 and different colors of icing. Great for a children’s party, a Galentine’s celebration or an after dinner treat on Valentine’s night. 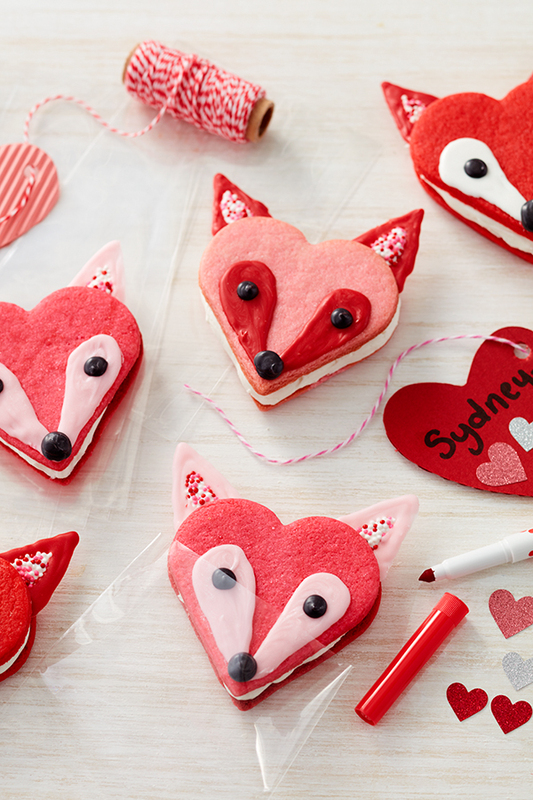 These sly sandwich cookies are the perfect treat to hand out on Valentine’s Day. Sneak them into kid’s lunch bags or onto a coworker’s desk for a sweet afternoon surprise. 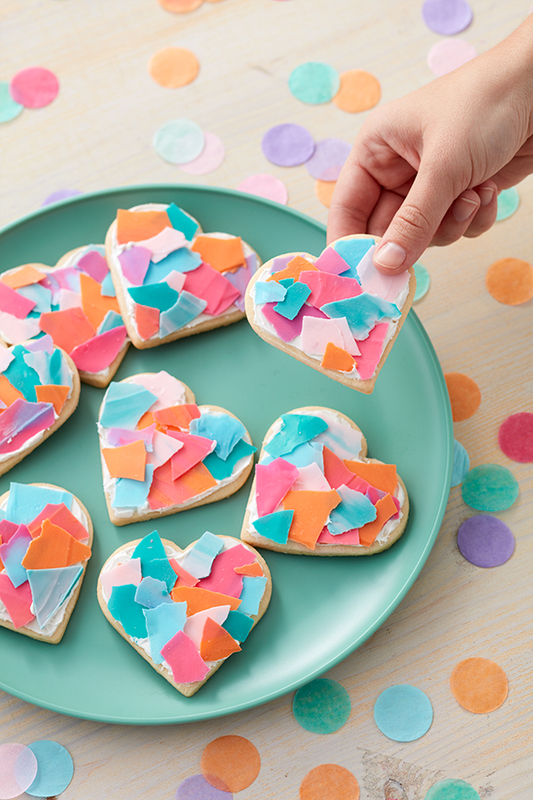 Celebrate the ones you love with heart-shaped cookies topped with brightly colored candy bark made with Candy Melts® candy. A fun treat for all your pint-sized Valentine’s, and kids will love breaking up the bark to create the confetti! As simple as they are sweet. 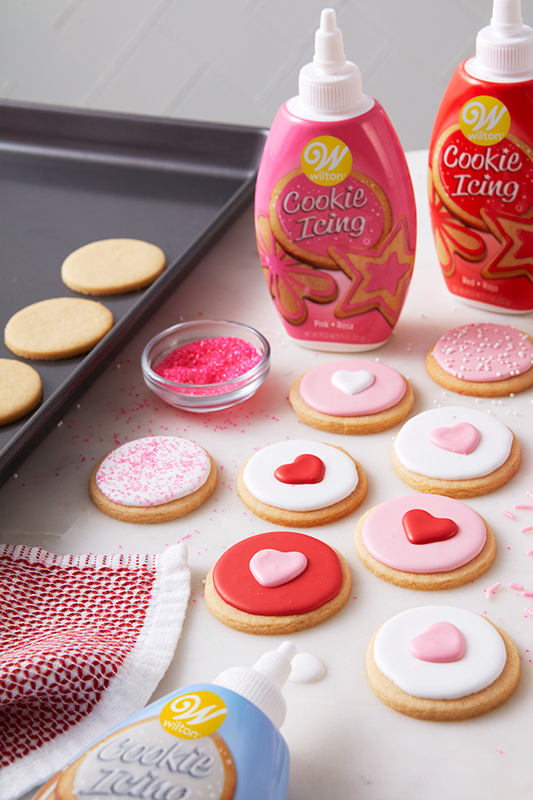 These mini cookies are made using our Roll-Out Cookie Recipe then decorated with pink, white and red cookie icings, some with hearts in the center. Add sprinkles for a fun touch, then serve these bite-size treats to your favorite Valentines. A romantic dinner sets the stage for what comes after – a dessert just for two. 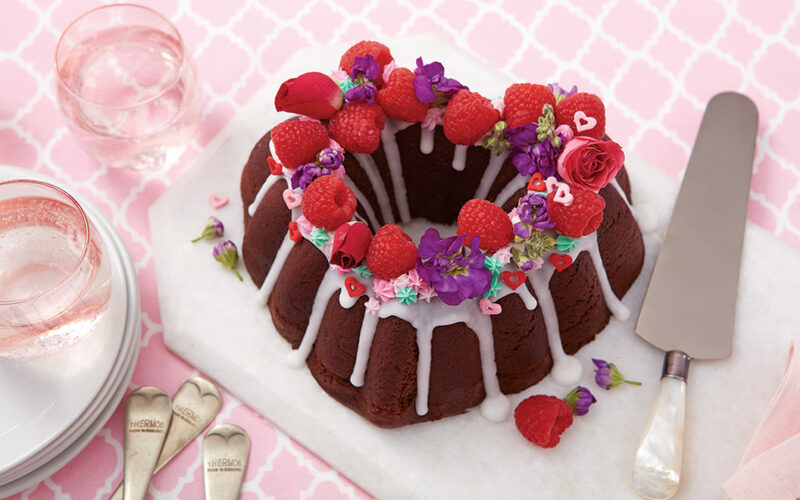 This velvety rich chocolate cake topped with a hint of red from fresh raspberries is the perfect ending to your Valentine’s Day date night. 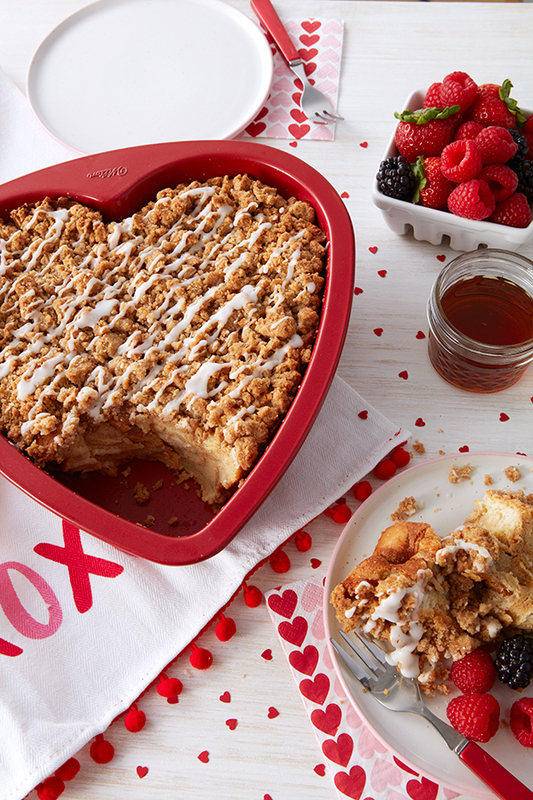 Give each of your Valentines a piece of your heart with this pretty pull-apart dessert. 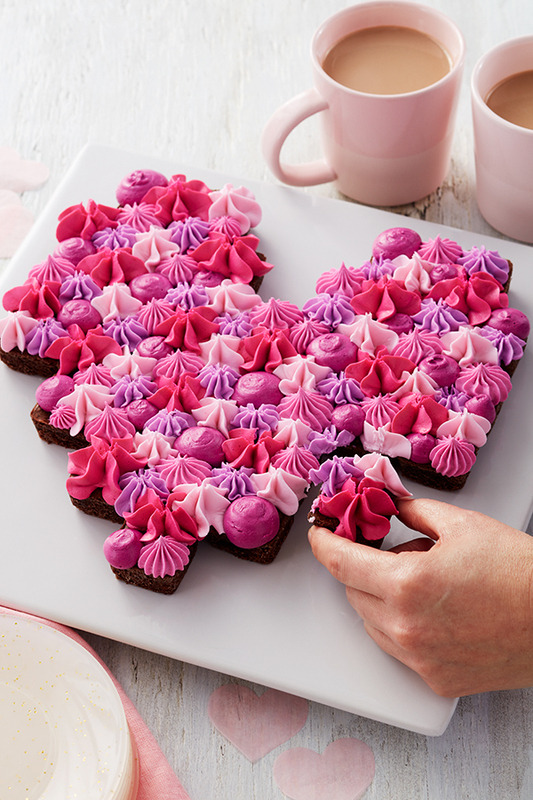 Bite-size brownie squares are arranged in the shape of a heart then decorated with piped stars, flowers and dots in Valentine’s Day colors. Which of these desserts did you make for your Valentine? Post a picture on Instagram and tag us @WiltonCakes so we can see!